Salt Peanuts is a Dizzy Gillespie show recorded in July 1981 at The Rising Sun Celebrity Jazz Club in Montreal. Though Dizzy's work from the '70s on is patchy at best, this show is a real killer. It seemed Gillespie and his crew were really into a groove while hanging out in Canada's jazz Mecca. The disc opens on a weak note with "On Green Dolphin Street." The solos have their moments, but nowhere within the track is the melody. What is even more bizarre, the track has a taste of fusion. "Blues Theme" is another dud. The track just doesn't go anywhere, seeming rather sloppy for any show, especially from one of jazz's greatest minds backed by a solid band. 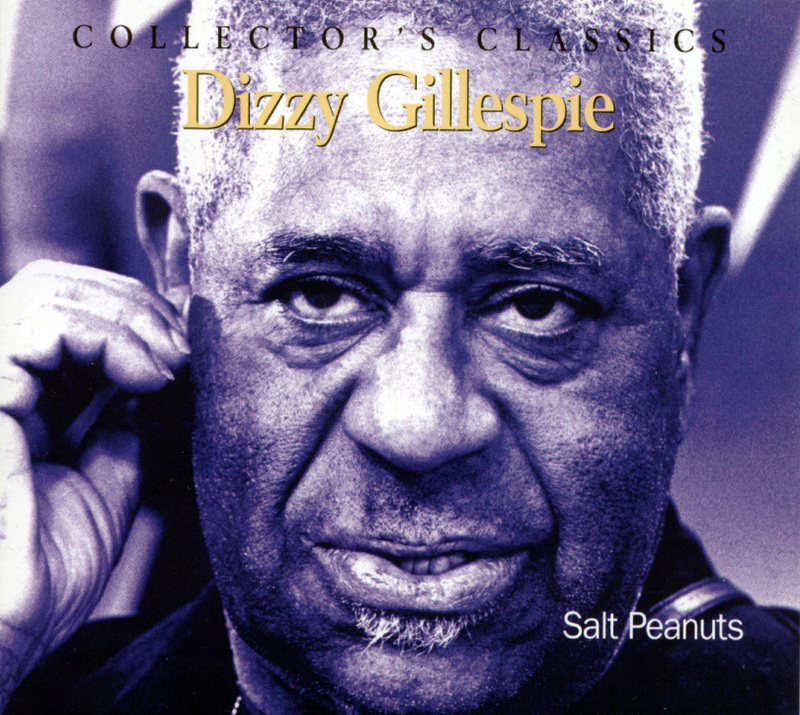 But as the listener is about to abandon ship, the seminal Gillespie bebop classic "Salt Peanuts" kicks in and classic Dizzy makes his appearance. He sticks to a fairly original arrangement, but he lets loose some solid playing to saddle up with Cherry and Al-Khabyyr's blazing chops. He then leads into a typical version of "Swing Low Sweet Cadillac" before the record really gets going in the in the second half. Rounding out the last half is absolutely amazing! "Night in Tunisia," "Land of Milk and Honey," "The Girl From Ipanema" and "Tin Tin Deo" are practically flawless. His version of "Night in Tunisia" (featuring some conga work from Gillespie) proves Dizzy's prowess as an arranger, working up from the main melody into a new track with a variety of layers. Much in the ideology of artists like Shorter, Monk, Hancock, and Tyner, Gillespie sees his muse in reworking a classic song by bringing current influences and styles into the mix. After a solid flow through "Land of Milk and Honey" come two covers. Through "Girl" is a great tune with some great flute from Al-Khabyyr, the fourteen and half-minute version of the legendary Chano Pozo's "Tin Tin Deo" is simply pure Diz, a ripping take that recalls some of Gillespie's peak Afro-Cuban work. The overlooked Ed Cherry and Sayyd Abul Al-Khabyyr really pull this combo together, but the sound is very sparse. After hearing so much big band Gillespie, this disc is a toned down affair. What really makes this record sound bare is the lack of keyboards. Though this isn't the best representation of Dizzy Gillespie, it is a great show of this particular era of Dizzy's long and varied career.